So begins Between Urban and Wild, a collection of essays by Colorado native Andrea M. Jones. Reflecting on the familiar details of country living as well as the larger responsibilities of life outside the urban boundary, Jones offers a calm, carefully reasoned perspective on place. Operating partly on a practical level, partly on a naturalist’s level, Between Urban and Wild honors the subtleties of the natural world while illuminating the importance of working to safeguard it. 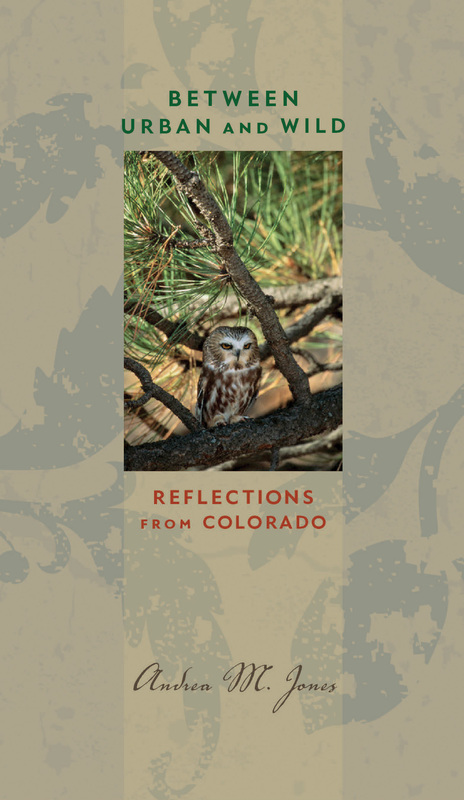 Jones writes about life at the urban-wild interface from two different homes in the Colorado Rockies, first in Fourmile Canyon west of Boulder, then near Cap Rock Ridge in central Colorado. Whether negotiating territory with a mountain lion, working to reduce her property’s vulnerability to wildfire, or decoding the distinct personalities of her horses, she offers useful and engaging perspectives on natural beauty, and the nature of home.